West's Mortuary, Inc. | Mr. William Baker, Jr.
Funeral services for Mr. William Baker, Jr. will be held on Saturday, March 14, 2015 at 11:00 A.M. at the Zion Hope Baptist Church with Rev. George Frank Monts officiating. Burial will follow at the Israel Cemetery. 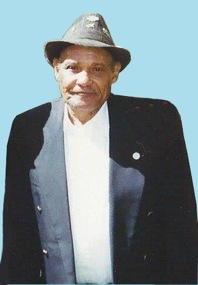 Mr. William Baker, Jr was born on May 17, 1937 in Smithville, Georgia to the late Ester Myers Baker and the late Mr. William Baker, Sr. At an early age he joined the Mitchell Grove Baptist Church. Mr. Baker worked for many years as a painter. He was preceded in death by two brothers: Mr. George Baker and Mr. Lynn Baker, two sisters: Ms. Lillie Pearl Baker Searcy and Ms. Rosa Bell Baker Reynolds and three aunts: Ms. Ora Myers, Ms. Daisy B. Greene and Ms. Bessie Myers. Mr. Baker died peacefully on Sunday, March 8, 2015 at the Coliseum Medical Center in Macon, Georgia. Left to cherish his memories are his children: Annie Pearl Young (Dennis) of Smithville, Georgia, Glenneva (Leon) Carter, Denise Baker (Andrew Lee) Daniel, Leslie Baker (Lomenzo) Reddick, Shirlean Baker (Otha Lee) Worth, Curtis Baker, Larry Baker, William Bernard Baker and Terry Baker all of Americus, Georgia; two sisters: Ms. Frances Burton of Macon, Georgia and Ms. Doris Baker of Americus, Georgia; sister-in-Law, Mrs. Mamie Baker of Americus, Georgia;Uncle, Mr. B. J. Myers of Plainville of New Jersey; 23 grandchildren, 25 great grandchildren and a host of nephews, nieces, cousins friends also survive. YOU WAS LOVED BUT GOD LOVED YOU BEST. R I P .COUSIN, WE PRAY THAT ALL THE FAMILY STAY STRONG, AND YOU REALY WILL BE SADLY MISSED. YOUR COUSIN GENE MYERS AMERICUS GA.
My Dad memories and love will always be with me. You was the greatest Dad I could ever have, love you so much. To my loving dad. Words can't even describe how I feel right now. You were the best dad any daughter could ask for. Oh my sweet sweet father. You was kept from me in your last days but there wasn't a moment I didn't think about you and longed to see you. I hope you are resting now. I love you. To my sweet sweet father. Words can not express how much I miss you. You was the best father A daughter could have. I could not have asked for a better dad. You was there through out the different stages of my life to comfort me. I'm sorry I didn't get to do the same for you during your last days because you was kept from me. I hope you are resting now. I love you.